152 kilometers long, the Thouet is known for its preserved banks, charming landscapes and picturesque bridges. In Montreuil-Bellay, the Thouet widens, fed upstream by the Argenton. It will later be joined by the Dive before merging with the Loire in Saint-Hilaire-Saint-Florent next to Saumur. In the 19th century, the portion from Montreuil-Bellay to Saint-Hilaire was still navigable, which we can see by the presence of port Sainte-Catherine. Two mills were in operation on the Thouet in Montreuil-Bellay: on the left bank, the Moulin de la Salle, and on the right bank, le Moulin du Château. Between the two, a bridge spans the river, so you can go from the La Salle area and western residential hills to the historical center of the town. 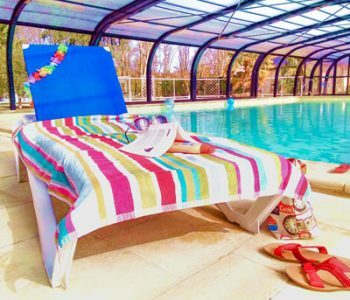 The Les Nobis campsite is located before the bridge, near the ruins of the old priory at the edge of the Ile aux Moines, connected to the shore by two small pedestrian bridges. A large number of our pitches are located right on the river. The Thouet, tributary of the Loire, passes by the Les Nobis d’Anjou campsite in Montreuil-Bellay. If you love fishing or canoeing, with family or friends, this little corner of paradise is for you. 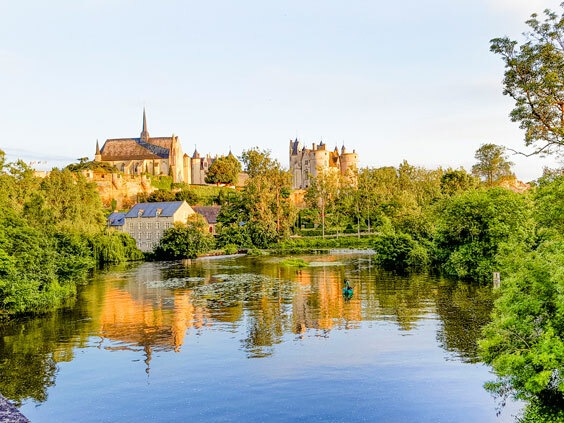 By bike, follow the river from Saumur to Thouars on the La Vélo Francette trail and then on to the majestic Loire on the Loire à Vélo trail, as you cycle along the water. 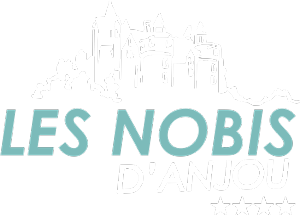 With our perfect location by the Thouet, Les Nobis d’Anjou offers an enchanting setting between river and castle, and many activities to enjoy on the water. Fishermen will love our campsite by the river and the quiet path along the bank. You can ford the river to get to the next green island behind the better-known Ile aux Moines. For a beautiful and refreshing walk, the banks of the Thouet in Montreuil-Bellay are prized by locals for fishing black bass, roach, common bleak, pike and zander. A river with many fish, the Thouet is perfect for all types of fishing with the variety of species that live there. 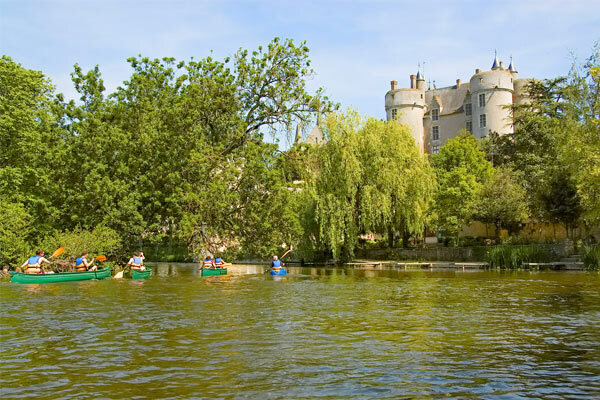 You can enjoy activities on the Thouet near the campsite: the Montreuil-Bellay canoe club offers paddle boat and paddleboard rental. Several options are available for sightseeing by canoe or kayak and enjoying a nice walk with your family on the Thouet: 3.5-8 km routes, or rental by the hour, half-day or full day. Navigation is easy on the Thouet, which is very calm here, and is perfect for families with children. From our riverside campsite, you can also bike along the banks of the Thouet: the La Vélo Francette trail passes through Montreuil-Bellay. Follow the trail to explore the Thouet Valley. The Thouet Valley Véloroute alone offers 140 km of trails through the most beautiful villages that border the river. For a day trip, follow the road towards Saumur, to where the Thouet meets the Loire.